This precious white cotton batiste bonnet is made by Monelli, a leading provider of classic children's wear. 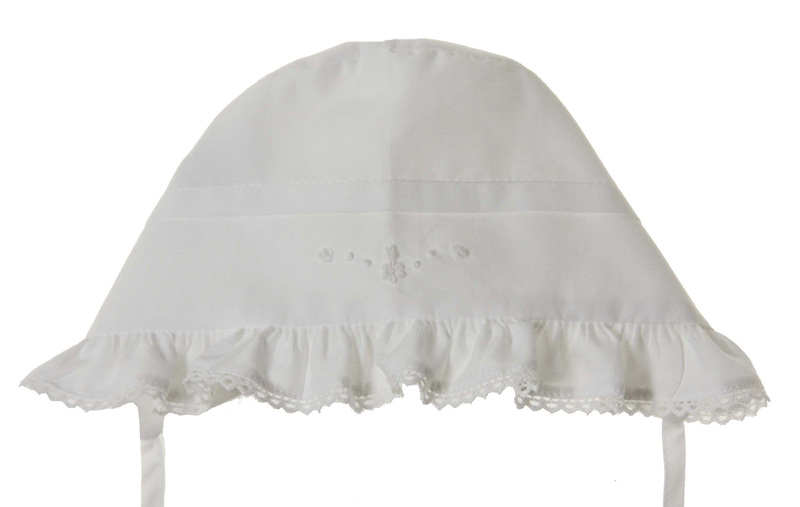 It features pintucked sides with delicate white embroidered flowers on the top. The 1" face ruffle is edged with white crocheted lace. 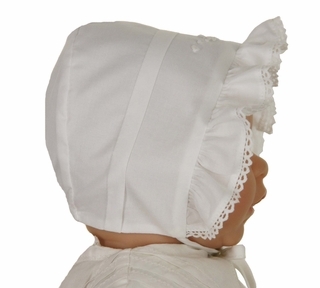 The bonnet is elasticized at the back neck for a good fit and ties under the chin with white batiste ties. 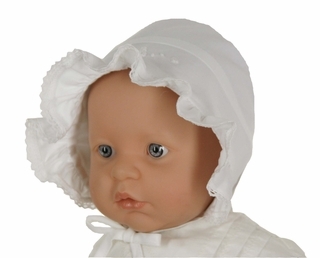 Perfect for a christening or coming home bonnet!